Home of the 1 year Price Guarantee! 35% of our business is from repeat and/or referral business! 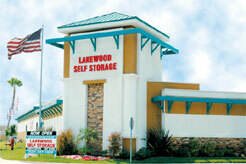 Lakewood Self Storage has been doing business in the Lakewood/Long beach area for six years. We are conveniently located on Paramount Blvd. immediately North of the Long Beach Airport. Lakewood Self Storage prides itself on being the cleanest, safest, and most convenient facility in the Lakewood/Long Beach area. Over 35% of our business is from referrals or repeat business. Come see why we are so highly recommended by those that know us! Lakewood/Long Beach area location offers: 1) Free truck and driver with move in, 2) One-year price guarantee, 3) Convenient loading and unloading with easy access to your storage unit.